Did you ever purchase a box of 3 Mil contractor bags and wonder why the bags don’t perform as well as the ones that you purchased last time? Or why the bags don’t feel quite as tough? The box says that these bags have the same height, width, and thickness as the other ones, and all contractor bags are the same, right? Wrong. 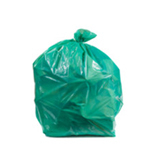 There’s a little secret in the trash bag industry that explains why the quality and performance of a contractor bag seems to vary so much across brands. Once you know this secret, you will never waste money on poor quality contractor bags again. 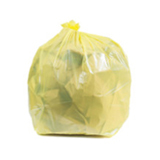 Contractor bags are one of the most common trash bags around. Contractors, disaster relief workers, moving companies, and even homeowners use them. All of the major trash bag brands make them, from supermarket brands to commercial brands. They truly are a magnificent bag for heavy loads of sharp trash, books, and construction debris. 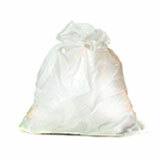 The standard contractor bag is a 42 gallon bag boasting to be 3 Mil thick and capable of handling the toughest trash. So why is there such a variation in the quality of these standard bags? The truth is that some of these bags that claim to have a thickness of 3 Mil are in fact 10% thinner than what they claim. In industry terms, this is known as tolerance, aka the acceptable margin of error, which in simple terms means manufacturers can cut costs by using less plastic while charging you the full price. 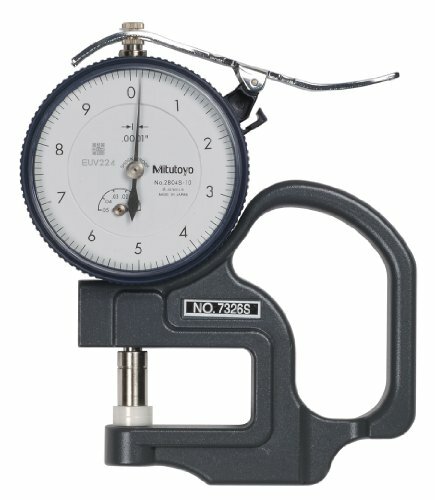 This 10% down-gauging is considered the norm, but beware because some manufacturers will attempt to down-gauge even more. 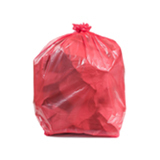 The price of a contractor bag, or any trash bag for that matter, is based on the weight. 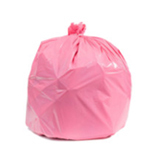 Thickness is a huge determining factor in the weight of a trash bag. If you are paying for a 3 Mil contractor bag, but your bag is really only 2.7 Mil thick, you’re getting ripped off. It may be pennies per pound, but if you use a lot of contractor bags in a year, those pennies can mean serious bucks. 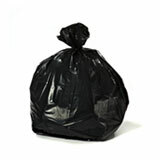 Talk to your trash bag supplier! Ask them what their standards are in regards to actual thickness of the bag. Find out what they are doing to ensure that their bags are consistently manufactured to the specifications they are advertising. If they can’t assure you that you are getting a true 3 Mil bag every time you order, then it’s time to find a new supplier. 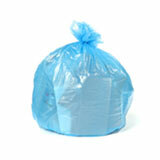 At Plasticplace, we test all of our bags to ensure our customers get what they pay for. 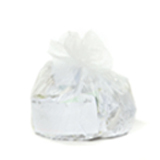 We use many sophisticated techniques and procedures to guarantee that the quality of our bags meets the high standards of our customers. For testing on the fly, we use a micrometer – a simple tool that clamps onto the trash bag, and then a needle moves to the correct measurement of the thickness. We even test the bag in several locations to make sure that the thickness is consistent throughout the bag. Contractor bags may not be created equal, but you deserve to get what you pay for. Use this information to make smart buying decisions. 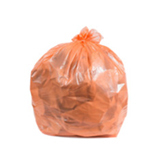 You will be surprised how quickly a few pennies per trash bag can add up. You work hard for your money, don’t throw it in the trash.